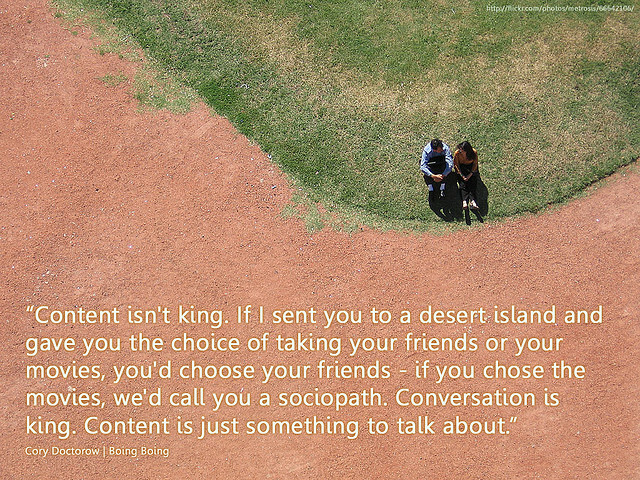 One of the most powerful ways content can be used in digital marketing is as a catalyst for discussion. Online community managers like Brandie McCallum understand this well and routinely use content to spark conversations which build beneficial connections, knowledge and brand engagement. As a long time community manager, Brandie works to open the accessibility and personality of brands both offline and online, creating relationships built on trust and openness. As our guest on this week’s #ContentChat she shared her tips for nurturing online communities by using content to get the conversation going. Previous story Facebook Fraud: Are Those Likes Legitimate?